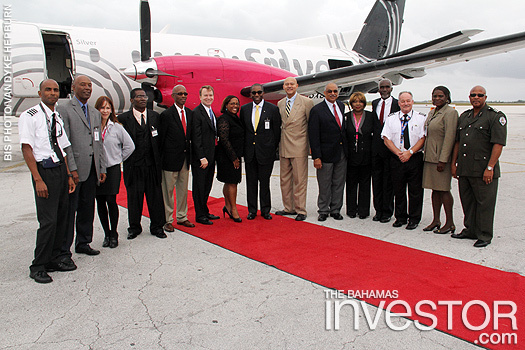 Ministry of Tourism officials welcomed Silver Airways' inaugural flight to Freeport, Grand Bahama International Airport, November 21, 2013, from West Palm Beach, Florida. 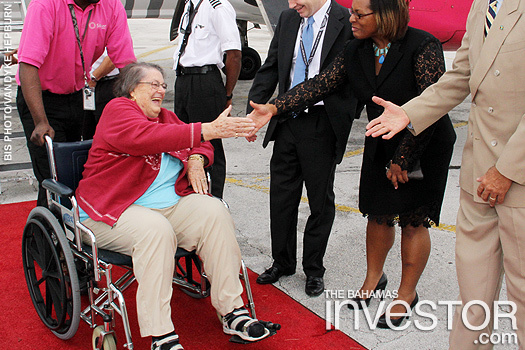 Ministry of Tourism officials welcomed Silver Airways’ inaugural flight to Freeport, Grand Bahama International Airport, November 21, 2013, from West Palm Beach, Florida. 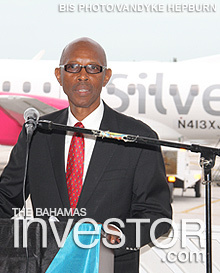 The flight brought to Freeport the airline’s president and chief executive officer David Pflieger. 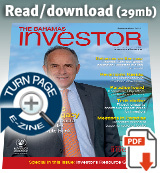 Speaking at the event, director general of tourism David Johnson said he was proud and pleased to see Freeport take back its rightful place in the tourism market. Okyanos Heart Institute has announced that its chief medical officer and interventional cardiologist, Howard Walpole (pictured), will address the International Stem Cell Society (STEMSO) Global Conference to be held at the Grand Lucayan Resort in Freeport, Grand Bahamas, February 19-22, 2014.